Have you ever read one of those heartwarming stories about thousands of kind people on social media raising $100,000 through a GoFundMe page for a stranger's medical treatment, only to despair at what that says about the wider inhumanity of health care policy in the United States? That's the same feeling I got reading this story from Billy Penn's Michaela Winberg about two Germantown non-profits raising money from their neighbors to buy a trash truck and bootstrap their own miniature Streets Department. The story is titled "Germantown neighbors give up on city street cleaning and buy a trash truck" but it should really be "City gives up on Germantown, makes neighbors buy own municipal equipment." 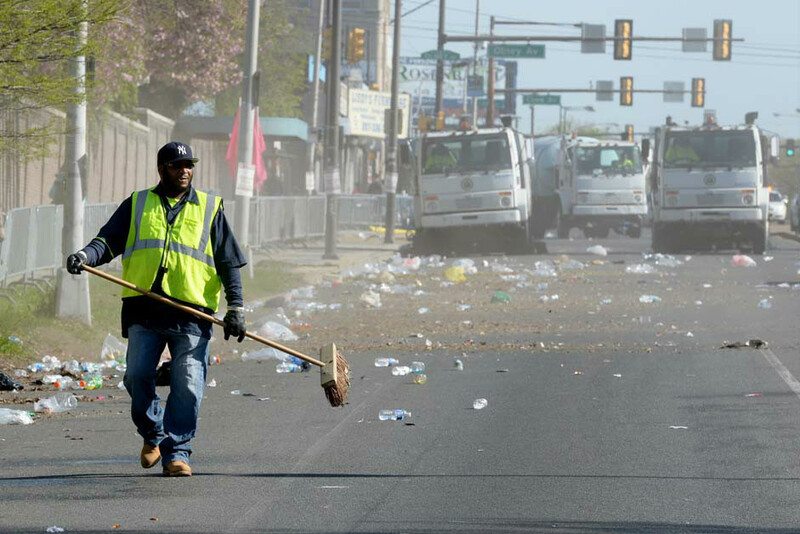 This isn’t the first Philly neighborhood to take trash collection into its own hands. In 2015, the Newbold CDC founded a similar program, employing folks from the Philly behavioral health nonprofit Horizon House. The trash collectors were folks with developmental disabilities, addiction and those who’ve experienced homelessness. Last year, the Bella Vista Neighbors Association joined in, using a fundraising campaign to pay for sidewalk and curb sweeping that was staffed bya professional trash collection company. The group reached its $25,000 goal, enabling members to pick up 10.61 tons of trash. Commercial corridors and places with a lot of additional foot traffic and commercial activity are always going to need some extra cleaning services above and beyond whatever the City provides as a baseline. The problem is that what the City provides as a baseline is nothing, so even residential areas that would probably stay relatively clean with once-a-week street sweeping after trash day end up becoming disgusting as months and years go by with no cleaning. The administration's leaf blower pilot isn't going to make a difference with the amount of curb gunk that's been built up between parked cars and the sidewalk, and the well-intentioned program from these Germantown non-profits isn't either. If the Kenney administration would just follow through on Kenney's 2015 campaign promise to bring back regular citywide street sweeping services, not only would it save everyone on the ground a lot of money to fund and administer this service universally, but local volunteers would also be freed to spend time instead raising money for other neighborhood priorities they care about like local schools, or community activities—not a basic municipal service that should simply come with our current taxes.